The Greenland ice sheet is melting at a glacial rate. The latest measurements continue to measure accelerating mass loss from the Greenland ice sheet. 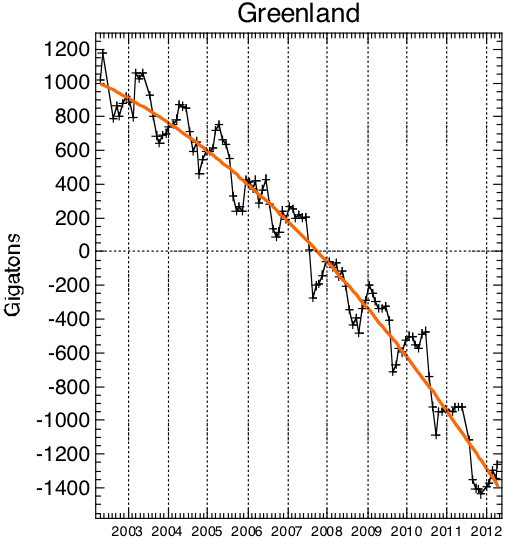 The latest data from the Gravity Recovery and Climate Experiment (GRACE) satellites show that Greenland mass loss has been steadily increasing since satellites began measurements in 2002 (Figure 1). The mass loss started spreading up the northwest margin a few years ago. 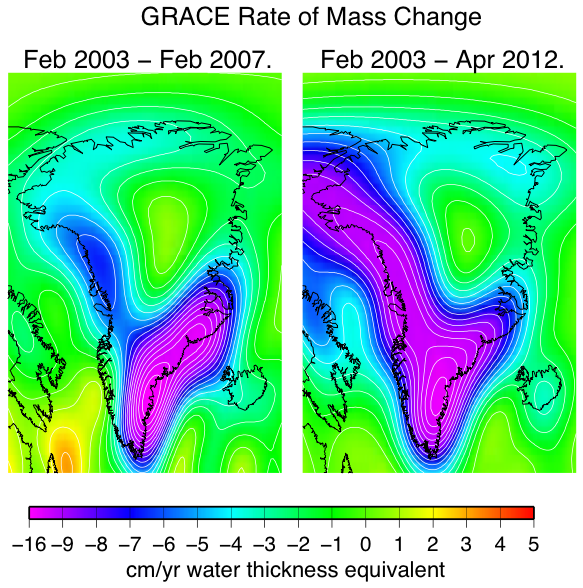 Figure 1: Rate of mass change from Greenland over 2003-2007 and 2003-2012 periods. Figure courtesy John Wahr. The average mass loss from Greenland from 2002 to 2012 was more than 200 billion tons per year (Figure 2). This rate of mass loss has been increasing over the last decade. Figure 2: Annual deviation of Greenland ice mass from the average. NOTE: Positive values mean the ice mass was higher than average, not that the ice sheet was gaining ice. Figure courtesy John Wahr.